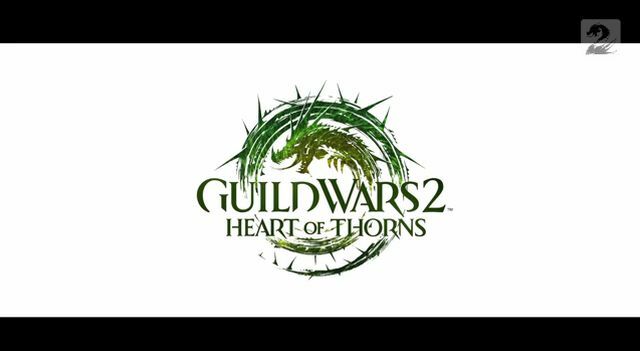 NCSOFT® and ArenaNet™, publisher and developer of the acclaimed Guild Wars franchise, have today released details about two of the most exciting new features in Guild Wars 2’ s upcoming expansion, Guild Wars 2: Heart of Thorns. The studio is inviting fans to learn more about the Masteries system, its new vision for endgame progression in an MMO, and journey deeper into the Heart of Maguuma jungle, the new environment that serves as the main setting in Guild Wars 2: Heart of Thorns. ArenaNet today published two blog posts detailing what each new feature will bring to players with the expansion. It also set the stage for the first glimpse at live gameplay on the ‘Points of Interest’ livestream. The livestream is scheduled for this Friday, February 6 at 21:00 CET (20:00 GMT) on the official Guild Wars 2 Twitch channel (www.twitch.tv/guildwars2). Guild Wars 2: Heart of Thorns picks up where Season 2 left off, with players journeying deeper into the Heart of Maguuma to find out what happened to the pact fleet. The jungle environment, composed of three biomes, brings an element of verticality that directly influences the gameplay. Players will need to learn new masteries like hang-gliding and mushroom jumping to traverse different levels in the jungle. One of the first maps players will experience within the deep jungle will feature survivors from the Pact Fleet who spend the daytime fortifying and repairing their positions. When nighttime rolls around, however, the map will enter a secondary phase in which the Mordrem masses attempt to overwhelm the Pact defenders. Assisting outposts like these will be vital in the dynamic environment, as they can be leveled up and will be essential in preparing for secondary phases of new areas. A new adventure system will provide challenges for players to earn high scores in nearly any activity, minigame or challenge imaginable in the game world. Players left wondering what is next for their maxed out characters will be pleased to hear about Heart of Thorns’ new mastery system, a progression system that respects players’s time and effort by allowing them to grow their level 80 characters in new ways. Masteries grant meaningful powers to characters, like the ability to hang glide or jump on mushrooms to traverse the Heart of Maguuma faster and get to previously unreachable areas. Specific masteries will be earned from experience gained in PvE regions that are tied to those skills. Masteries will be leveled up on separate tracks, allowing for multiple tiers and simultaneous progression on multiple masteries. Masteries must first be unlocked with Mastery points, which are gained from tasks like completing a chapter in a character’s story, completing achievements, finding secret locations, defeating difficult enemies, performing well in the new adventure system and earning 100 percent completion in maps. New characters can accumulate mastery points, but the points cannot be spent until a character hits level 80. Furthermore, Masteries will bring new benefits to all of the characters in a player’s account. The mastery system was designed to expand players abilities without invalidating past achievements and to grow their characters while focusing on gameplay instead of grinding for new gear. Players interested in seeing the first live gameplay of Guild Wars 2: Heart of Thorns should tune in to the official Guild Wars 2 livestream show, ‘Points of Interest’, this Friday, February 6 from 21:00 CET (20:00 GMT) on www.twitch.tv/guildwars2. Join host Rubi Bayer and expansion content designers Anthony Ordon and Steve Hwang as they journey into the Heart of Maguuma and discuss the new mastery system. Popular streamers Richie ‘Bog Otter’ Procopio and Aurora Peachy will also be livestreaming their own special Guild Wars 2 programming before and after ‘Points of Interest’, with the pre-show starting at 20:00 CET (19:00 GMT) on the Guild Wars 2 Twitch channel. ArenaNet surprised fans around the world by unveiling Guild Wars 2: Heart of Thorns in a livestreamed event at PAX South on January 24. For the latest updates and to learn more about this first expansion to Guild Wars 2 please visit http://heartofthorns.guildwars2.com/. Today, 21st Century Fox announced that they led a round of funding for Caffeine that also included existing Caffeine investors. Shot Online Golf: World Championship is a realistic golf game that brings the golf experience to players on their mobile devices.